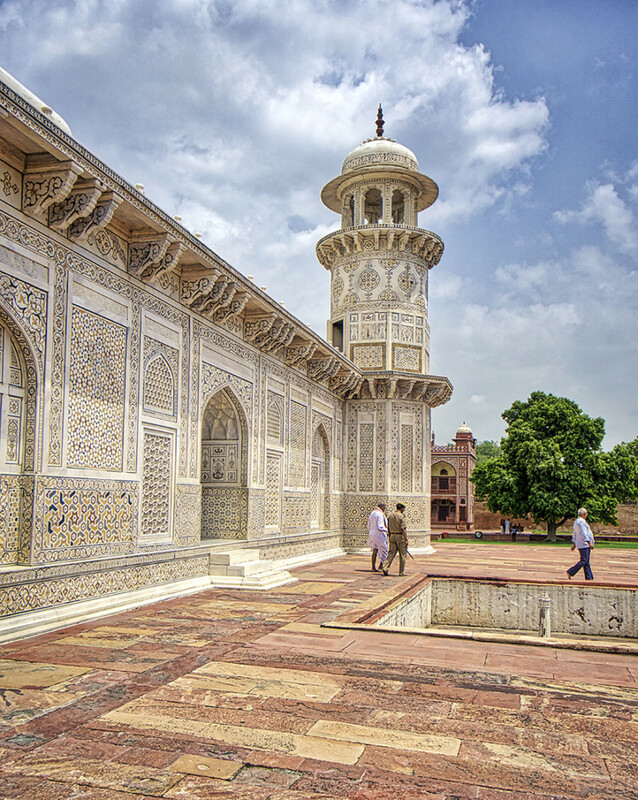 The photo shows “Tomb of I’timād-ud-Daulah” in Agra, which is often regarded as the little, draft Taj Mahal. I think in the western hemisphere it’s a bit complicated to spell it correctly. 🙂 It’s located in a prominent park area, with gardens and surrounding buildings built from red sandstone. You can get a combo ticket which adds the Red Fort and Taj Mahal. It’s worth to take it and visit all three!